While effectively pussyfooting around Russia, the incoming US administration has been anything but in regards to China. After raising the temperatures a few weeks back in China by effectively recognizing the Taiwanese leader on a global scale by taking his well wishing call, the latest salvo was fired by Rex Tillerson, Trump’s nominee as America’s top diplomat. 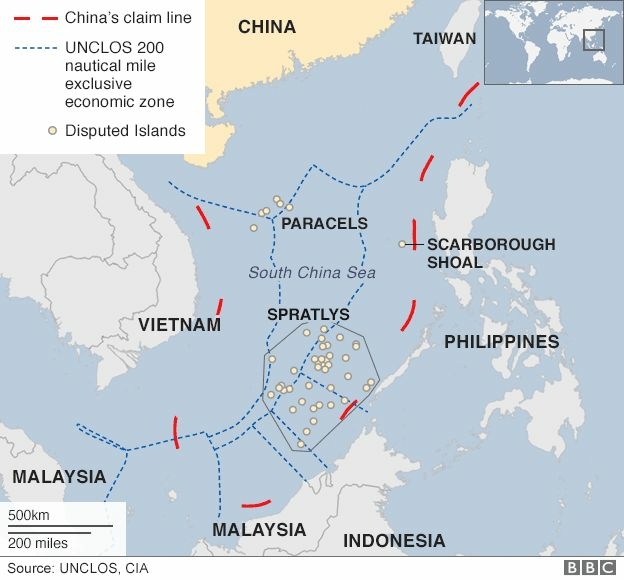 To questions about how the US will tackle China’s claims in the South China Sea and the artificial islands it has built to effectively imposed by force these claims, Tillerson indicated that the US should block China’s access to these new islands. “Such remarks are not worth taking seriously because they are a mish-mash of naivety, shortsightedness, worn-out prejudices and unrealistic political fantasies. “Should he act on them in the real world, it would be disastrous. The Global Times own view was more cynical, intimating that Tillerson was merely trying to “curry favour from senators and increase his chances of being confirmed by intentionally showing a tough stance toward China,” indicating that China was more than capable of stopping him. 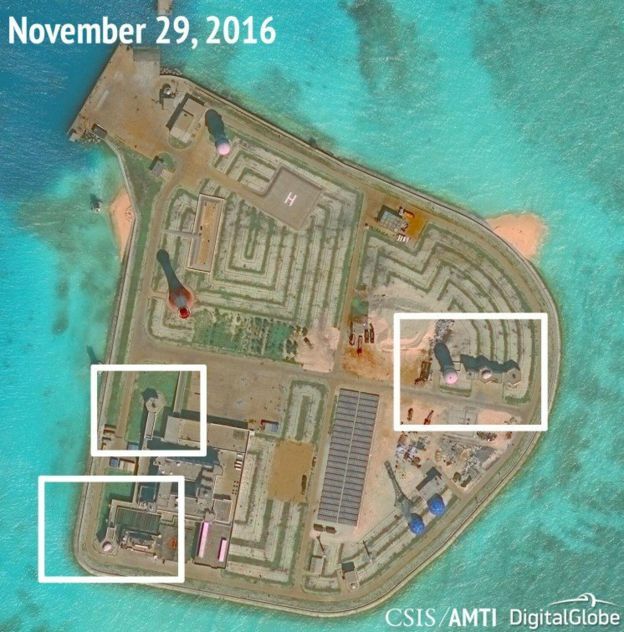 While the Obama administration has strongly condemned the island building, it has never threatened such action, only going as far as to assert the US rights to traverse those waters without observing territorial limits.